NICVA is 80 this year. What better way to celebrate than by thanking our members for their fantastic support with a full year's access to GrantTracker for just £80! If tackling your current and future fundraising needs is at the top of your agenda, take a look at GrantTracker - the “one stop shop” for over 800+ funding schemes relevant to NI. Now is also definitely the best time to look. 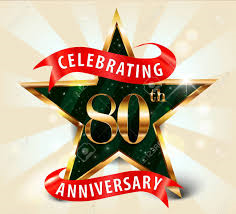 We want to celebrate our 80th birthday by offering all our Members access to GrantTracker for a whole year for just £80. That's an extra 20% discount on the normal NICVA Member rate and just over £1.50 a week! “I regularly use Grant Tracker to check for new funds, or key deadlines and the search function and summary information on each funder enables me to quickly narrow down a long list of potential funders to the key 2, or 3…Grant Tracker also enables us to find organisations that we might not have considered as potential funders before. The alternative to Grant Tracker is spending many hours trawling through individual funders websites - far less efficient. As a relatively new Charity which I founded, I was always worried how sustainable we could be. I always will have the passion, but would I always have the funds? When I joined NICVA they pointed me in the direction of Grant Tracker, which I was offered at a reduced cost. After spending time online and having a clear path of the help I needed and the grants available, it became a very useful and significant tool. Our Charity has benefitted a lot from GrantTracker over the last few years. GrantTracker is an entirely unique funding database covering over 800 sources of funding for NI VCSE organisations. Developed and managed by NICVA, GrantTracker is a truly local product, developed by the sector for the sector. Whether you are a large organisation with a strong track record looking for million pound grants or a grassroots group looking for a few thousand pounds at the start of your funding journey, GrantTracker can help. You will find generic funders, niche funders, EU funders, statutory funders, awards you can nominate yourself for to win from two hundred pounds to twenty-five thousand pounds, corporate funders and in-kind funding from computers and office equipment to free beer or coffee for your events. All at the touch of a button! GrantTracker also has a bespoke tracking feature which allows you to co-ordinate your funding applications and keep your own notes, along with regular email updates on new schemes and coming deadlines so you never miss out on funding opportunities simply because you don’t hear about them! Any queries about forgotten passwords, changes in users or simply getting the best out of GrantTracker can always be answered by a dedicated full-time GrantTracker member of staff. If you have any questions just email us at [email protected] or telephone us on 02890 877777. How do you access the discount?